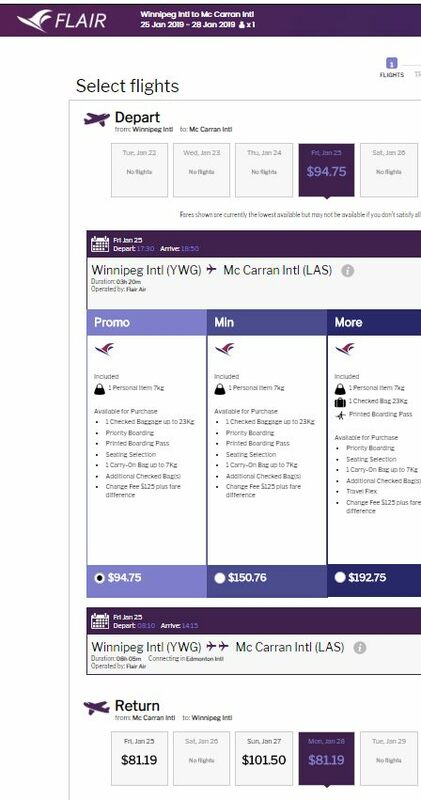 Flair Air has dropped the price of their January through April 2019 flights from Winnipeg to Las Vegas down to between $175 (personal item only) and $235 (with luggage) CAD roundtrip including taxes. There are some Friday to Sunday and Friday to Monday dates available. $175 roundtrip is the base price, and only includes a personal item (must fit under the seat). 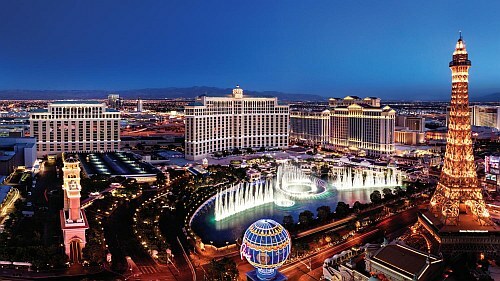 $235 roundtrip is the price with carry-on or checked luggage included. - Look for the flights that are $94 on the way down, and $91 on the way home. winnipeg, ywg, flight deals, united states, las vegas, las, north america and flair air.